Your Most Urgent Questions about Pediatric Crowns, Answered! 18.6% of children aged 5-19 in the US have dental caries, according to the CDC. High incidence of cavities among children is a leading reason for treatments such as pediatric crowns. 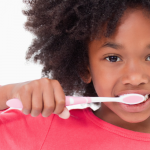 As a parent, you have important questions about the dental treatment of your children. 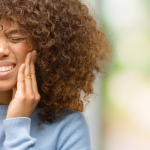 At Penn Dental Medicine, we take those questions seriously and aim to inform so that you have the best information at hand when making these decisions for your family. What is the average cost of pediatric crowns? The average cost of one pediatric dental crown ranges between $300-$500. The cost may vary depending on the material used, the tooth being fixed, and of course the provider. In many cases insurance will cover a great deal of this cost if it is deemed necessary to your child’s health. At Penn Dental Medicine, we offer even lower, discounted rates because we are a dental school. Bring your child in for an initial evaluation to get a treatment plan and a cost breakdown. What will the pediatric crowns procedure be like for my child? The process of getting a dental crown takes about two appointments in total. 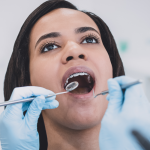 When you come with your child for his/her initial evaluation, the dentist will assess your child’s teeth to make a judgment about whether he or she needs a crown. The pediatric dentist or prosthodontist will file down the tooth, removing any decay in the process. He or she will make a mold in the shape of your child’s tooth.At the second visit, the mold will have been used to make the crown, which will be placed on your child’s tooth. 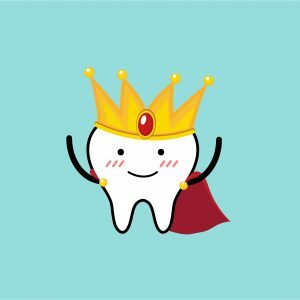 Why are pediatric crowns necessary, if the baby teeth are going to fall out anyway? 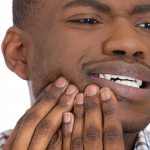 When baby teeth are pulled before their time, the adult tooth often isn’t yet poised to emerge from the gums. If that space remains open for too much time, then the gap will close and the adult tooth won´t have enough room to grow, causing more problems down the road for your child. That´s why we suggest protecting your child’s mouth with a pediatric crown; it’s the best thing you can do to help your child avoid future dental problems. Get in touch with the caring doctors at Penn Dental Medicine today to get your child the care he or she needs at a price you can afford. Call us at 215-898-8965.